Male hen harriers guarding nests are a very rare sight. 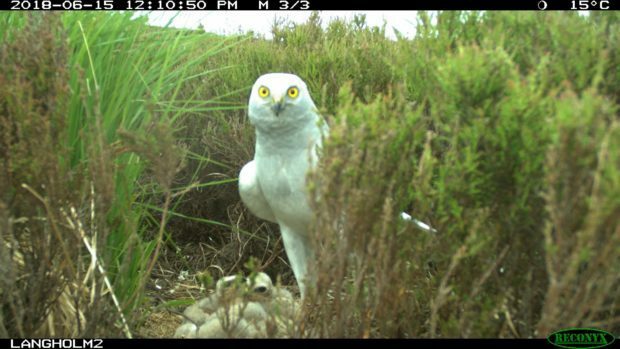 A conservation charity group has used hidden nest cameras to capture a series of unprecedented images of one of Scotland’s rarest birds of prey engaging in extremely unusual behaviour. Scottish Natural Heritage (SNH), working with Partnership for Action Against Wildlife Crime Scotland (PAW), has photographed a male hen harrier on a Scottish moor playing the role of an attentive father for the very first time. On two occasions, the collaborative Heads Up For Harriers scheme has recorded a male of the species guarding chicks for up to 35 minutes, while their mother was away from the nest. Researchers say the behaviour has never been captured on film before as typically the only time a new hen harrier mother leaves a nest in the first six weeks after laying her eggs is to briefly catch a food drop from her mate. And in addition, the project – which has today celebrated 30 young birds of the species successfully fledging this year on participating estates across Scotland – also captured some very irregular predation by two types of owl. 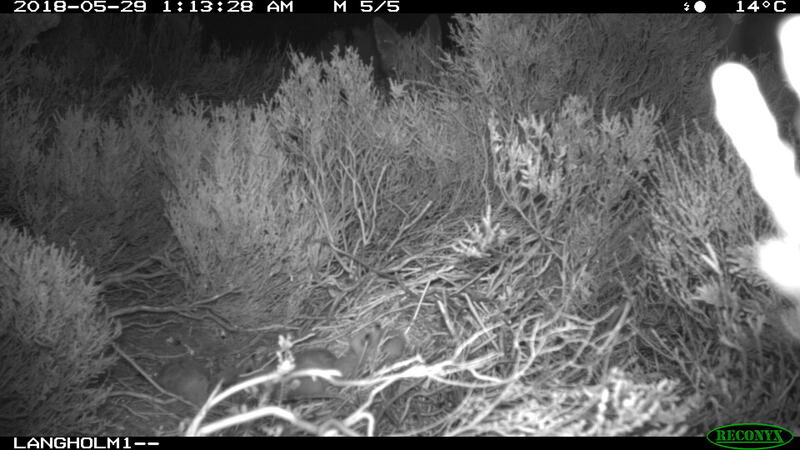 Night vision photography shows an attentive mother scared from her brood by a fox – before a short-eared owl inspects the unattended chicks and leaves, followed shortly by an attack from a long-eared owl, which proceeds to eat three of the five newly-hatched baby birds. Professor Des Thompson, principal scientific adviser for SNH said: “This is exceptional. It’s the first time we’ve observed such behaviour by a male hen harrier and the first time we’ve seen a hen harrier nest under attack by two other raptors, one after the other. “As ground-nesting birds, hen harriers already face extra obstacles in order to protect their chicks. Heads Up For Harriers field worker Scott Smith said: “These pictures tell an amazing story that helps us understand the kind of hurdles which hen harrier chicks encounter to survive. 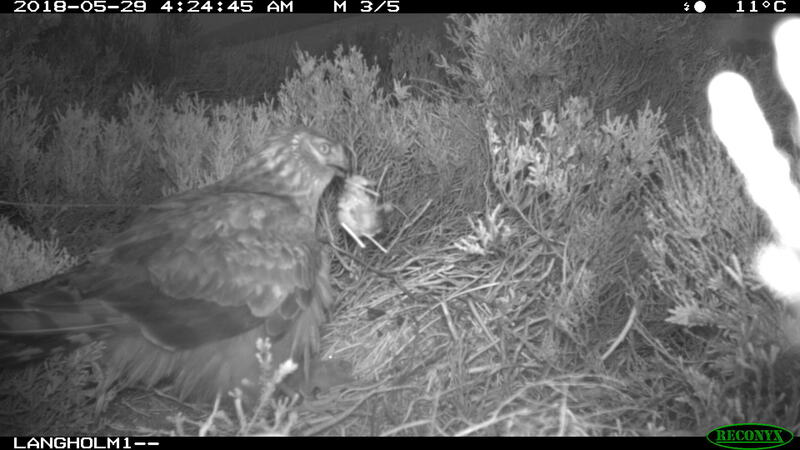 “Nests can fail for many reasons – the Heads Up For Harriers project is keen to learn everything we can to help hen harriers flourish in the future.